Dead River Company is the provider of propane, fuel oil, and kerosene for residential and businesses needs. The Dead River Company offers commercial and residential fuels, water heaters, boilers and furnaces, propane fireplaces, propane stoves, propane space heaters, air conditioners, energy saving controls, and programmable thermostats. The Dead River Company also engages in providing system maintenance services, and equipment installation services. The Dead River Company was founded in the year 1909 and has its headquarters located in Bangor, Maine. The Dead River Company also provides free newsletters and tips for saving energy and money through its online website. 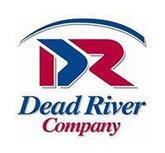 There are currently 0 consumer reviews about Dead River Company available. Share your review. Please take a note that you are about to post a public review about Dead River Company corporate office on CorporateOffice.com. This review will be public, so please do not post any of your personal information on this website. If you would like to contact the corporate offices of Dead River Company, please use their contact information such as their phone number, website, and address listed above to contact them. However, sometimes staff from Dead River Company headquarters do read the reviews on this website.